The owners of two long-established trucking companies specializing in food-grade transportation services — Cliff Viessman Inc. in Gary, S.D., and Johnsrud Transport Inc. in Des Moines, Iowa — have agreed to merge their businesses. The move creates a combined fleet of 450 tractors and 872 trailers and service throughout the continental United States and Canada. Both companies were founded more than 50 years ago and have focused on hauling bulk liquids for the food industry. “Since my father’s founding of Johnsrud Transport, our family and our employees have strived to build the nation’s leading tank carrier in the eyes of our customers and the employees that service them each and every day,” said Jackie Johnsrud, president of Johnsrud Transport. We are thrilled to join forces with Johnsrud Transport, one of the most respected competitors in food-grade bulk liquid transportation for generations. Leon Johnsrud started with a single truck in the 1960s and his son, Stuart, was involved in the businesses until his death in 2014 at age 52. Virgil Viessman began his trucking business in Worthington, Minn., in 1961 with two milk trucks and was tragically killed in a truck accident in 1965. Virgil’s son, Cliff, took over the milk routes and began to grow the fleet, adding terminals and expanding into the transportation of corn sweeteners, wet feed and starch. The company moved its headquarters to Gary in 1987. 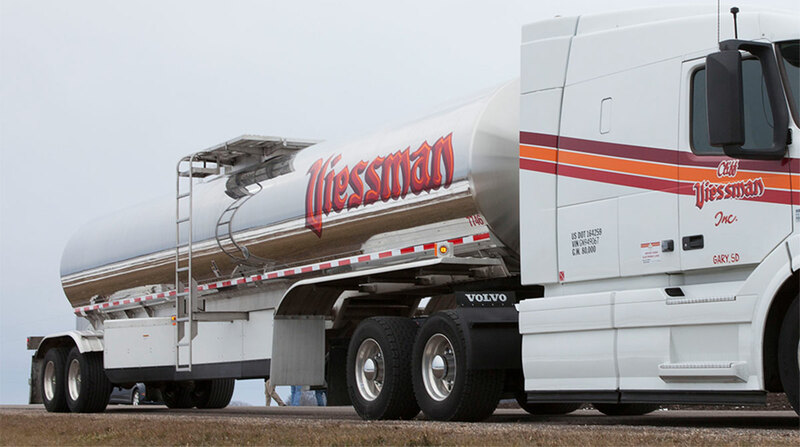 In 1997, Viessman Inc. purchased a carrier in Paynesville, Minn., that hauled cheese products and in 2003 acquired another trucking company based in southern Minnesota that included a terminal and tank wash facilities in Cedar Rapids, Iowa. Viessman Inc. now operates 11 terminals and tank wash facilities in six states and Johnsrud operates three terminals in three states. With the merger, officials at Viessman Inc. said both companies will continue to operate under their own trade names with all drivers and staff remaining in place and Jackie Johnsrud continuing as CEO.